Dress Jeans is a classic we've made for you to wear with everything from jeans and a tee to your suits and dresses. 24" long with triple pendants 1-1/2" longer, the matched strand is of iolite [water sapphire], naturally iridescent freshwater pearls, blue lace agate, rich blue sodalite and blue jade beads with silver beads and findings. 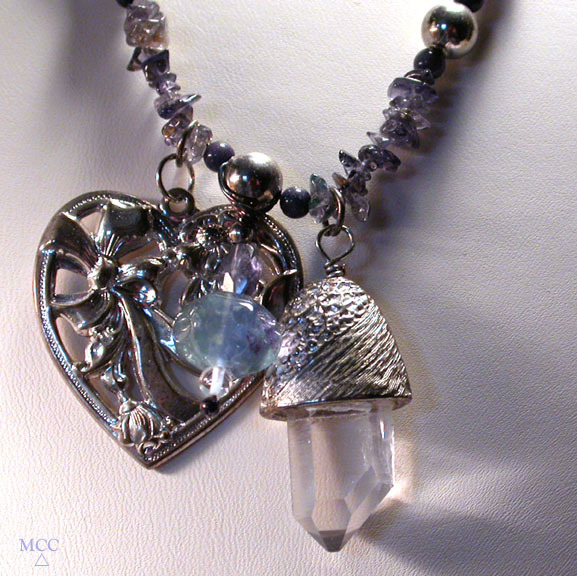 The heart charm and perfect tabular rock crystal pendant add charming and classy accents - the hand-facetted iolite and fancy cut fluorite are mouthwatering! 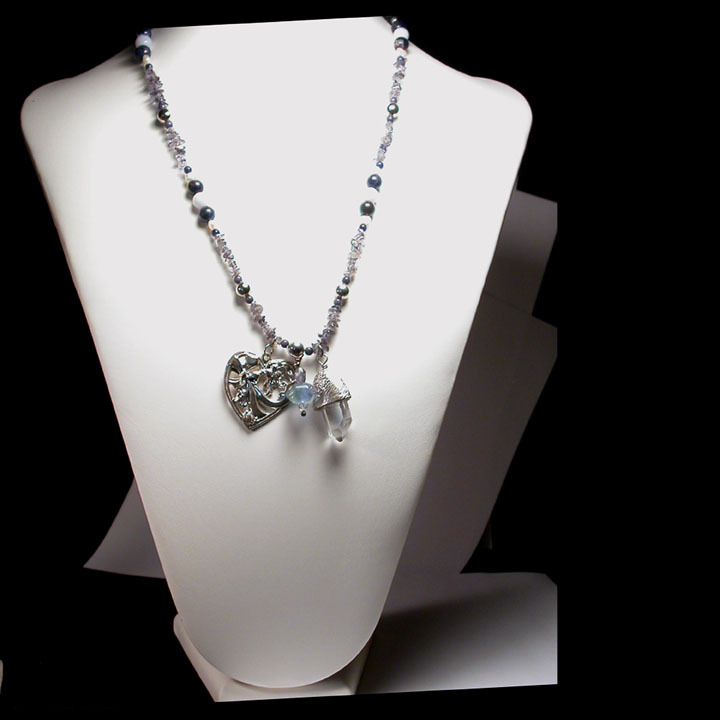 This will also look terrific layered with other chains.